We just came from seeing the movie, “Noah.” It’s the first movie in a long time that I actively disliked. I remember at one point being anxious for the movie to end so I could start disliking it. Starting with the positives–Russell Crowe is great, but they made the Noah character quite unlikeable. Emma Watson also did a great job. Nice special effects. OK, that’s over with. Now, to the “What the hell is that all about?” part. However, it’s one thing to take liberties with the story. Sure, go ahead. Make Noah’s wife a blonde instead of a brunette. Have the ark made out of balsa wood instead of gopher wood. Have it rain 41 days and nights, just to toss in an extra day and make sure all those evil people in the world aren’t out there still treading water. When I started talking about the movie with my wife on the way home, the “doesn’t like to hate anything” Victoria was urging me make sure I re-read the story before venting. I did. I told her that, growing up, these stories were drummed into me in great detail, but sure, it wouldn’t hurt to go look at it again. However, all it’s going to do is make this blog even longer. 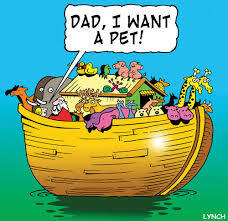 In the Bible, Noah is told by God to build an ark, round up all the animals, take his wife, their sons and their wives on board and go for a cruise. Are you with me? After re-reading the story, I had forgotten that Noah did all this when he was 600+ years old. Sure, make me feel like an underachiever. No, wait. I think I’m getting confused. Now, you may be saying, “Tim, you’re just being too sensitive because of your religious views.” Not at all. What they did was take a story that most of us know and threw in things (I guess) to make it more interesting. The best analogy I can come up with would be a new version of the Wizard of Oz. You know the story, right? Well, in this one, Dorothy travels in a time machine and meets up with some interesting characters. Unfortunately, while on their way to meet the wizard, the Cowardly lion is attacked and devoured by zombies. Dorothy eventually makes it back home, telling her Auntie Em that she would like to become a man. I can say I saw it. But there’s something seriously wrong about a movie surrounding the story of Noah when you’re hoping the boat sinks.